The Sir John Cass Business School Fintech Centre was opened at Jiaozi Fintech Centre in Chengdu, China on Thursday 7th March. The Centre will provide professional training in Fintech to government agencies, regulators, financial services institutes and industry practitioners and is jointly funded by Cass and the Chengdu Jiaozi Financial Holding Group. The Centre will nurture Chengdu’s financial talent, attract overseas experts and promote international exchanges to promote Fintech expertise in the region. 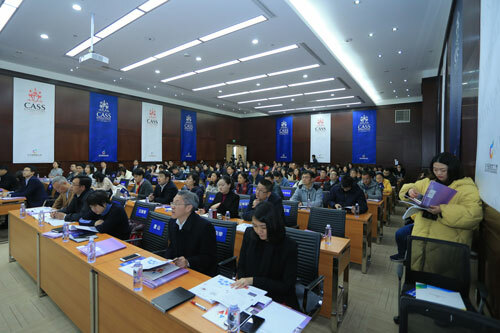 It will also serve as a platform for joint research projects between Cass and Jiaozi Dream Factory’s entrepreneurial platform and incubator. The opening ceremony was attended by Mr Xie Ruiwu, Member of the Standing Committee, CPC Chengdu Municipal Committee and Executive Vice-Mayor, Chengdu Municipal People’s Government; Cecille El Beleidi, British Consul-General, Chongqing; Professor Andrew Clare, Associate Dean, Cass Business School; Mr Fang Zhao, Chairman, Jiaozi Financial Holding Group and Mr Liang Qizhou, Director General, Chengdu Municipal Financial Regulatory Bureau. “The Chengdu government has been actively championing the Fintech sector and is committed to supporting Fintech companies; creating jobs and growth, as well as further strengthening their position as one of China’s pre-eminent financial services destinations.